Divorce is tough no matter what, but deciding if you need representation and who will do it for you makes things more complicated. 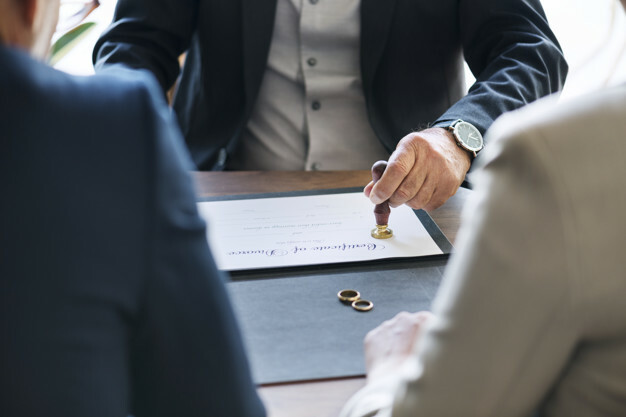 Read on to learn more about divorce mediators and lawyers and how they could affect your situation. Is a Divorce Mediator or Divorce Lawyer Right for You? In nearly every case, divorce is a complicated process that almost always requires professional help for the separating couple. However, going to court for litigation or for a settlement conference isn’t always necessary; by using mediation your divorce can often be finalized outside of court and at a far lower cost. How can you tell if a divorce mediator or divorce lawyer is right for you? Divorce mediation involves an unbiased mediator to work with both parties in the divorce (and sometimes their individual attorneys) in order to come to an agreement. This mediator should be well versed in all aspects of divorce and family law in order to effectively assist in the mediation process. Divorce mediation is ideal for the following reasons. Despite best efforts, sometimes litigation in court is the only way to finalize the divorce for two opposing parties. Litigation is the most common model of divorce but pits one family member against the other; it is often chosen when attempts at mediation and collaboration have failed, or the two parties simply cannot find common ground anywhere. Additionally, a divorce lawyer may be necessary to fight your case in court if these situations are present. The other party may have undisclosed assets that you cannot acquire without the assistance of the legal system. A particular pattern of the threat of domestic violence or substance abuse/addiction that makes mediation impossible. Unhealthy behavior exists that may be reinforced through mediation. A highly emotionally charged situation exists that makes it impossible to have any meaningful dialogue about the most important parts of divorce: child custody/support, alimony, and division of your assets and liabilities. Regardless of how you choose to proceed with your divorce, you should consider your options very carefully. After all, your choice will have a huge impact on your future and your children’s future, if kids are involved. Which is right for you, a divorce mediator or a divorce attorney? Find out and read about it in this new blog post, which compares the two.